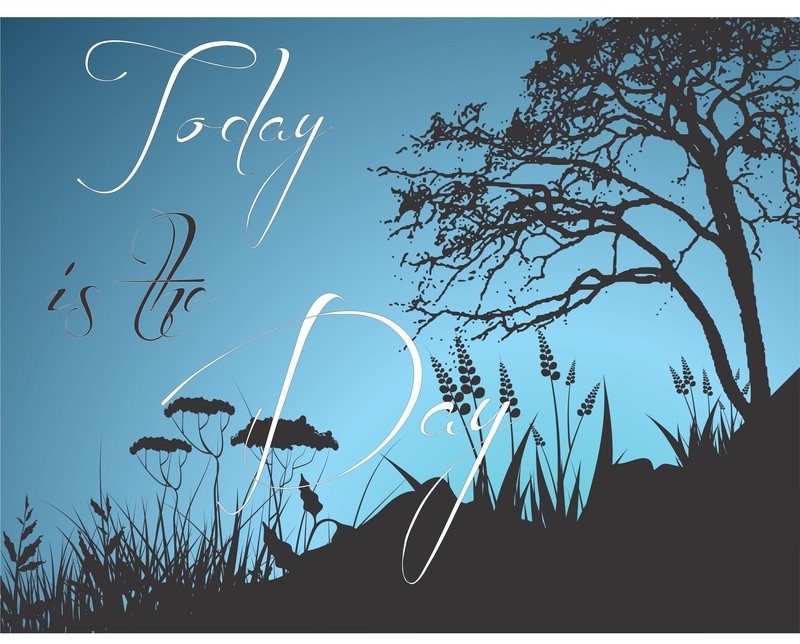 Notice that in this scripture God says, NOW, TODAY! How often as Christians, we believe for something but maybe down the road or eventually or maybe in Heaven we will see it. Over the years we get sluggish or disappointed and we let our faith wane a little. By God’s grace, power, favor and protection, I am stirring my heart, my spirit, my mind to believe God’s word TODAY! I am asking God to bring to remembrance the things that He has promised me NOW. I am asking God to call into existence those blessings and truths that do not seem to exist in my life! I am the healed of the Lord! God is restoring to me the things that were lost, taken, eaten, stripped and gnawed from me! God is moving in my children’s lives and bringing them to Him! Praise God! Those that are lost God is giving them to me as my inheritance! Let us listen to God, believe His Word, stir up that faith He has given you, love God, be kindhearted toward others. 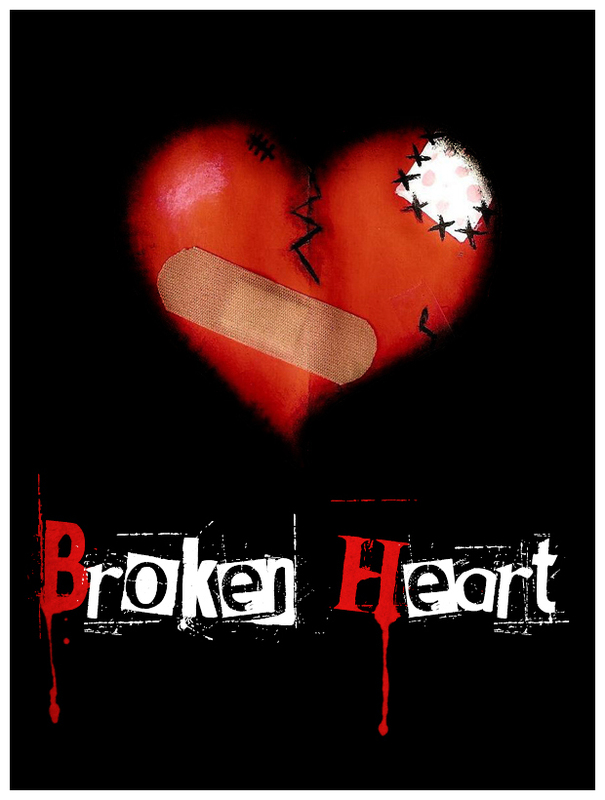 Have you ever been hurt, wounded, marred, made to feel low and second-class, victimized, criticized about your looks, your weight, your manner of speaking, despised, abused, suffered, laughed at, talked about, lied about, rejected? Maybe you haven’t experience all of those feelings but I am sure that you have experienced some of them at one time. I know I have been on the receiving end of many of those wounds and hurts but I have also thoughtlessly caused them. None of us are perfect, we make mistakes and some of us have made more than others. We say hurtful things because we have been hurt. We wound because we have been wounded. Lately, I have been asking the Lord why certain things have happened in my life and why I seem at a standstill. I feel like I am at a crossroads but don’t know where to go or what to do. Some scriptures come to mind about Jesus found in Isaiah 52 and 53. So here we see Jesus wounded, rejected, despised, physically hurt, and crushed. People were horrified at him. He was marred, an object of horror. Marred is an interesting word. It can mean: disfigured, damaged, spoiled, scarred, impaired, hindered, wasted, flawed, injured, defaced, deformed, distorted. Do you identify with any of this at least emotionally, in your heart? Jeremiah, Micah, and Job speak of their wounds being incurable and they are. Many of us have been wounded, hurt, marred, and scarred from childhood throughout adulthood. These wounds cannot be healed except through the power of the Holy Spirit doing a redemptive work in our lives. These wounds have taken root in our hearts and we must deal with them. Often we ask, “Why me??? I have just tried to do good, I didn’t deserve this!” Right now, God is wanting to do a great work in your life! He wants to do a deep, maturing, spiritual work in you! Praise God! You wonder why things have happened to you? God wants you to be Christlike. He is leading you there. He wants to do a wonderful deep work in your character. One time I was going through something terrible, being treated mean. I went to my pastor and she said something I didn’t like at first but knew it was great wisdom. She said that God wanted to do a work of love in my heart. That I should pray for those treating me unjustly and forgive them! I did not want to do that, I wanted to lash out and somehow get them back. But that is not Christlike. The Lord let me see the carnality in my heart and the selfishness. When you pray and sincerely forgive those who have hurt you and wounded you, there are great things happening in heaven. The Father is well-pleased with you. You gain new perspective in your life. Those incurable wounds are being rooted out and healed by the power of the Holy Spirit. A supernatural work in happening in your life and character. Dear brothers and sisters, through the things that we have suffered, let the Fruit of the Holy Spirit be manifest in our lives: love, joy, peace, forbearance, kindness, goodness, faithfulness! Intercess, pray, forgive those that have hurt you in the past. Go forward, becoming Christlike, obedient to the Father’s Will and enjoy abundant life. What sweet fellowship with our Father and Savior, our Lord Jesus Christ if we embrace those things that have happened, forgive, learn obedience, let our hearts be always soft while yearning for more of the Lord. 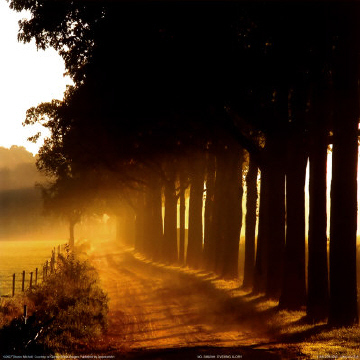 We would truly see clearly and know the path the Lord has for us. Not only for us but we would see a great move in others as we pray for them. What is our calling and goal it life? To be popular, well-liked, well-thought of, a nice person? NO! It should be to be like Jesus! To manifest his nature in our lives! To grow in grace & knowledge of Him! Although we see Jesus persecuted and hated by some, He was loved (and is loved) by so many! He inspired people, healed them, helped the hopeless. He not only was loved but He loved us so much that he laid down His life for us. Let us strive to be like our Savior!!! If we suffer, let us turn around and let the work move our hearts toward Him! Have you heard God tell you something? He just drops it into your heart and mind faster than you could even say it to somebody and you know that you know it is God!!! Joy leapt up in my heart! With these words I felt the Lord was taking me deeper in Him. I am a mature Christian but I felt like the Lord was dealing with me in a strong way. Sometimes, we go about our daily lives and maybe get lax or complacent or even self-satisfied. I thought I knew what to consecrate myself meant but wanted to do more of an in-depth study on consecration. During my Christian walk, I want to be real, honest, open. When God speaks to you like He did me, He wants you to ponder the words, seek His face, be obedient to what He tells you. I don’t believe I know the whole of the message right now but I do want what He wants for my life. Let’s study a little about consecration. What does it mean to be consecrated? Consecration is for all Christians. It is not optional but required since we are all priests for God. Constrained means “pressed on from all sides,” tightly confined on all sides. Christ’s love binds us. He shed His blood because He loves us. Because of that great love, we are His. We are wrapped in His love. Praise God!!! Because the Lord bought our lives with His own sinless blood, he has the right to ask us to consecrate ourselves. In order to be consecrated we must first ask Jesus to forgive us, to cleanse of all unrighteousness, of all sin. Repent! We have been bought with a price—The Blood of Jesus. Our entire beings belongs to Him alone. Consecration is service or to “wait upon the Lord”. Be prepared to serve. We present our bodies to serve God in whatever capacity the Lord has for us. We need to be flexible. The Lord comes first. Jesus is to be first in our lives! Let’s look in Mark 10:17-31. A rich young man came to Jesus and ask what must he do to inherit eternal life? The young man told Jesus that he had kept the commandments but Jesus said he needed to go and sell everything, give that to the poor and then follow him. The young man didn’t do it. Jesus looked into the heart of this young man. Jesus wasn’t saying that you couldn’t have money to be saved but that you must not have idols or anything that was more important that the Lord. The young man wanted to go to heaven but he put riches and wealth above the service and love of the Lord. Following Jesus, being a committed Christian is not burdensome. When the Lord said take up our cross daily, He was saying, “die to self” each and every day. Surrender your will, ambitions, life, politics, opinions, dreams, hopes, fears, to the Lord each day. Listen to his voice and do what He says. The Cross represents death. Jesus died on the cross. Living a Christian life is great joy but the dying to self is often what is hard. Discipleship is sacrifice. It means taking all idols out of your life like the rich young man and following Him. Are you willing to follow Jesus if it means losing some of your closest friends? Are you willing to follow Jesus if it means alienation from your family? Are you willing to follow Jesus if it means the loss of your reputation? Are you willing to follow Jesus if it means losing your job? Are you willing to follow Jesus if it means losing your life? Consecration is putting Jesus first, setting yourself apart from what you once were, dedicate yourself to the things of God, prepare yourself to be sensitive to the voice of God and when He calls—answer. God wanted them to: Turn their hearts to God. Put their faith and trust in God and His promises. Put away sin and do good as the Lord showed them. Make a true commitment to God’s ways! Be an overcomer! Many of us look good on the outside but harbor anger, bitterness, unforgiveness. We often manipulate people and try to be in control of every situation. To see God’s amazing works in our lives, we must examine ourselves and motives and commit ourselves to Him in every area. This surrendering involves every part of our lives—physical, mental, and spiritual. God wants us to grow and not remain spiritual babies but become His useful servants. Absolutely know you have been bought with a price! The Bible says, “Do you not know that your body is a temple of the Holy Spirit…, and you are not your own? For you have been bought with a price. So then glorify God in your body” (1 Cor. 6:19-20). In other words, we are owned by Christ. Not unwillingly but we give our lives to the Lord when we ask Him to forgive us and save us from our sins. We consciously and willingly become God’s servants or slaves. Yet, many people say, “I only want to serve God or do for God a certain extent.” They want to go to church, feel good about themselves, but still keep a part of their lives and hearts apart so they can do what they want. They want to be independent instead of acknowledging to God, to the world, to themselves that they have been bought with a price and they are literally owned by our Savior Jesus Christ. So they stray away, or never grow as a Christian because they are always fighting against God’s service. When we consecrate ourselves to God, we sacrifice our desires not because we have to but because we want to. 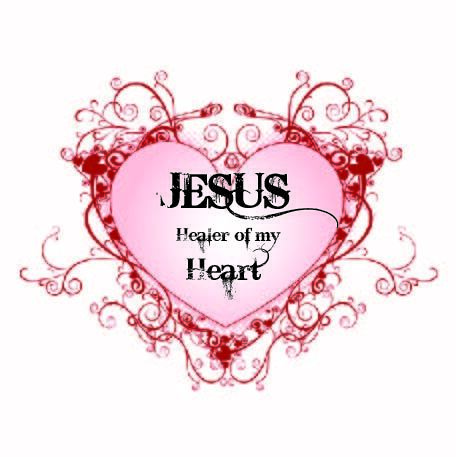 We are in a love relationship with Jesus. Because we love the Lord, we are willing to lay aside our own wishes and do what the Lord asks. It is not grievous; it is a joy because we know the Lord has our best interests in mind. He is divine, He knows what is ahead, He is Sovereign. If only all of us would say of our love, “I do not ever want to be free of the Lord. I am His man or woman forever. I am His servant, His slave. Do with me what you want! Your way is the best for me!” Not making this commitment in just words but in deeds! Consecration is not just for our own benefit but also for the Body of Christ. When we consecrate ourselves, we are able to help other people whether Christian or the ungodly. Through consecration we will be in the right place at the right time because we will hear the voice of God and know what to do. How can we consecrate ourselves? Be willing to spend time alone with God. Try to set a time that you will not be interrupted. Examine your life. Ask God to show you things that you are thinking or doing that would come between Him and you. Ask forgiveness for wrong attitudes, wrong thinking, unforgiveness, busyness, any idolatry. Idolatry is anything you set above doing the will of God in your life—whether it is wealth, the accumulating of wealth, your family, your pride. Want to be used of the Lord regardless of whatever way. Not everyone is called to be a missionary or be a pastor but everyone is called into service someway. Grow up in the things of God, surrender all to Him, read and study your Bible. These are but a few of the ways to consecrate yourself to the Lord. Ask God to help you! I am desperate for the Lord and I want hear his voice! I want to be constrained by Christ! I want to do what the Lord said to me and have the results of what the Lord said to me! Have you ever said, I just need peace! or I don’t have peace!? If you are a Christian then I will admonish you and tell you that you have peace! 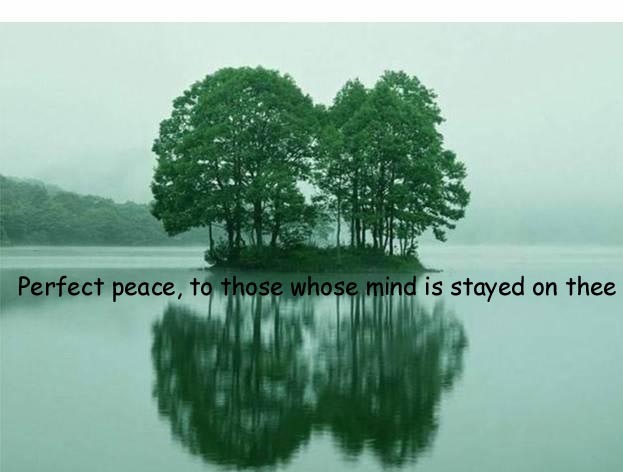 What is peace? What does the word peace mean to a Christian? Peace is a power word for us as Christians. It means to be whole, complete, in harmony with God, ourselves and man, order in our lives, unity, goodwill, prosperity, well-being, full, nothing missing, impaired, or damaged. How often we let the enemy of our soul, the devil steal, rob, encroach upon our well-being, our peace. Sometimes we don’t allow the Holy Spirit to do a full work in our lives. What does “let the peace of Christ rule” mean? Rule means sit as umpire there, govern and control. Let the peace of God rule, judge, or umpire all our human passions and emotions such as anger, wrath, revenge, anxiety, restlessness, bitterness, dissatisfaction, discontent, disputes and questionings of our heart. God says bring all unruliness under the control of the Word of God, that we might walk in order, meekness, long-suffering, forbearance , forgiveness and prosperity. By letting peace rule our hearts we will have tranquility in the face of turmoil, calmness in the storm, faith in the good times and the bad. Beloved, if you are a Christian and do not feel like you have peace, ask for prayer from trusted members of your church, seek God and see if there is something you haven’t surrendered to Him, be obedient to what He asks you. Keep your mind on the Lord! The word astray can mean anywhere from led into error and sin, to be deceived or as severe as to fall away from truth and become a heretic. Astray can also mean to wander or roam about. Sometimes we as Christians don’t fall from truth, we don’t fall into sin and error but we do roam or wander. We get away from the express calling of God on our lives. Many times it seems right at the time to follow a certain path, to perhaps get caught up into the work of our ministry and stop following the heart of God. We humans are so very fallible, like sheep we lose sight of what God had intends for us. I read a well-known minister’s statement about his ministry and the myriad changes in it. His ministry had grown large and prosperous. He was doing good works and reaching a lot of people. He wasn’t in sin or error but had lost sight of where God intended for him to go. God stopped him one day and said you have strayed from what I have called you to do. So God took him back to His original mandate for this minister’s life. God didn’t condemn this minister, He directed him. That minister just grew in in love, grace and Christlikeness through the obedience to God’s will and purpose for his life. If you feel like you have failed, strayed, lost sight of God’s express will for you, ask God to help you get back on the right path. Our God is compassionate and loving. Jesus knows our wants, wishes, desires and the many dangers to our souls. 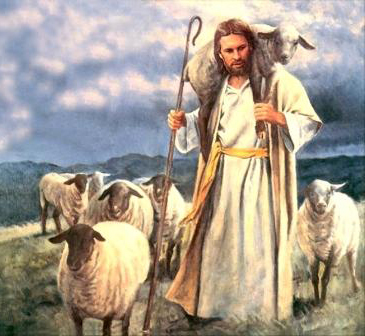 He is our Shepherd, He feeds us, guards us, directs and is there even when we might take the wrong fork in life for awhile. 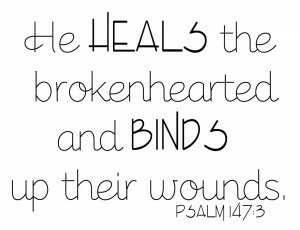 He lovingly tends to our hurts, scratches, wounds, binds us up and carries us when we are weak. How to return to the Lord and His express purpose for your life? Paul says in 2 Corinthians 3:18, “We all, with open face beholding as a glass the glory of the Lord”. The Lord will direct you, comfort you, lead you, give you insight. He is your Shepherd and the Bishop of your soul! God loves you!!! Yesterday, a friend of mine gave me a word found in Daniel 12:13 (The Message Bible) that the Lord had given her after praying about a certain matter in her life. The Lord told her to Relax! My friend is taking God at His Word. Sometimes it takes more faith to just go on about our business, quit fretting, and let God work it out. Do you have that kind of faith? 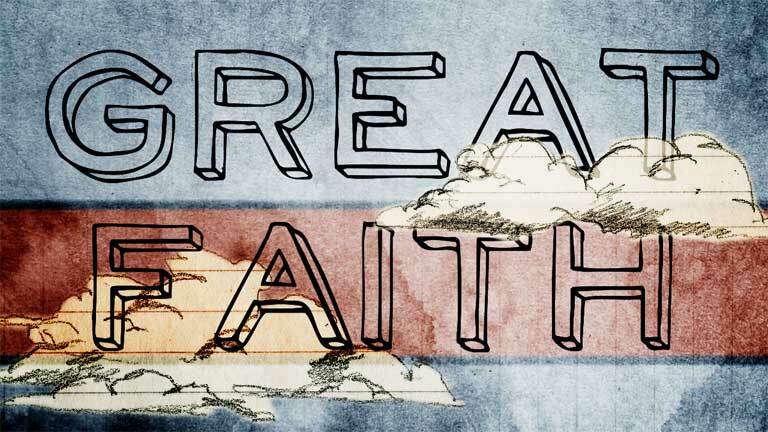 Very often, we think great faith is doing something spectacular, marvelous, heart-stopping. We admire the pushers & movers but looking at God’s word in Daniel 12, great faith many times requires us just to take our hands off, stand back, relax and let God work. Trust God whether it is finances, relationships, your own personal growth, health, or any number of numerous things that happen in our lives. God loves you and want only the best for you. I was encouraged then and I am encouraged today. Our God is a good God and loves us and wants the best for us!!! Have you ever received a word or had a scripture quickened to you for a particular time or situation in your life? What have you done with it? Did you hold on to it and apply it to your life or did you let it slip away from you? If you heard the word, held onto it, applied it to your life and let it change your mind, heart and situation, then it is an eternal word! I want to share with you a few that have really changed me. Years ago, I was going through the one roughest time in my life that I had ever experienced. I felt so hurt and almost hopeless. One morning I was before the Lord, praying and reading my Bible and this word spoke to my heart so deeply. It was Jeremiah 33:3. “Call to me and I will answer you and tell you great and unsearchable things you do not know.” (NIV Bible). Right then God filled my heart with hope. I knew He heard my prayers, knew my heartbreak, my longings, and He was taking care of me. That afternoon, I received a letter from a good friend of mine from Nebraska, (I was in Oklahoma at the time) who said that while she was praying for me, God told her to give me that scripture. It was confirmation to me. My situation did not change or get miraculously better anytime soon but I changed. From hopeless to hope, from woe is me attitude to God is for me! For the next few years anytime my faith level seemed low, I would quote that scripture. Sometimes it was daily. That quickened word changed my life. I could have let it slip by and continued on defeated and sad but I didn’t. I wrote it down, memorized it, quoted it, believed in the truth of the Word of God. Another time when I was in bad financial need, had two little children to take care of, no help from anyone, lost my job, no car. I didn’t know what I was going to do. I asked the church and my pastor to pray for me. My pastor gave me a Word from God, she said, “The Lord is always just in time!” What a faith word!!! I wrote that word down, put it on my refrigerator, bathroom mirror, each door so I could see it, trusedt in the Lord, believd that He would see to my needs. I knew that I had been faithful to him financially and I also knew the Lord would take care of me but when faced with the all the bills coming in and not much food, money, it was overwhelming. That word, “The Lord is always just in time”, helped me see beyond the situation and have great hope and faith. This particular financial situation continued for a while but I saw the Lord work miraculously on my behalf. Bills were paid, a car was given to me, things were worked out beyond my hopes or expectations. Praise God! Even today, that word is quickened to me, my faith is built and my eyes turned from the situation to our ever faithful Father! The last word I want to talk about at this time is one that I received at the beginning of this year. Haggai 2:9 says, “The glory of this present house will be greater than the glory of the former house,’ says the LORD Almighty. ‘And in this place I will grant peace,’ declares the LORD Almighty.” As I have gotten older I have wondered about my usefulness in life and to the Kingdom of God. I get concerned about my health, finances, other things that plague older cititzens. Job went through many trials and tests but God said in Job 42:12, “The LORD blessed the latter part of Job’s life more than the first. He had fourteen thousand sheep, six thousand camels, a thousand yoke of oxen and a thousand donkeys.” His latter end was greater than the former. God told me that same thing—My latter end would be greater than my former! I am going to hold onto that Word, apply it to my life, believe it and hold to that truth. In Mark 4 Jesus spoke about the parable of the seed. Sometimes the birdie of the air (Satan) takes the word from us, or the word is not allowed to take root in our hearts because we let the deceitfulness, lies of the world take precedence in our live, or the word just gets choked out by other things. Yet, sometimes the word comes into our hearts, we nurture it, we memorize it, quote it, write it down, keep our minds and hearts focused on it rather than our lives and situations. We grow in grace and knowledge of our Lord Jesus Christ. The disciples heard this word preached all day yet, when the evening came, they were in the boat with Jesus. Jesus was sleeping and a storm came up and they got all upset, looked at the situation, forgot about the word and woke Jesus up and said, “Teacher, don’t you care if we drown?” They let the word slip away from them. Matthew 8:5-13 spoke about the centurion who asked the Lord to heal his suffering paralyzed servant. The Jesus said he would come and heal him. The centurion replied, “Lord, I do not deserve to have you come under my roof. But just say the word, and my servant will be healed.” Verse 10 tells us Jesus’ thoughts about the centurion, “When Jesus heard this, He was astonished and said to those following Him, I tell you the truth, I have not found anyone in Israel with such great faith.” The centurion believed, took Jesus’ word to heart, acted on it. Jesus said that man had great faith! Beloved, when God quickens a word to us that will build our faith, look beyond ourselves, our bodies, our situations, let us take that word and let it be nurtured and grow in our hearts. Let it be an eternal word and work in our lives. I encourage you to write it down, memorize it, quote it many times a day. Put it where you can see it. Do not let go of it. That eternal word will change your life!